Victron Energy was founded in 1975 by Reinout Vader. 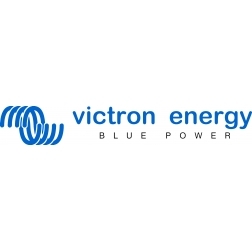 Victron designs and sells inverters, chargers and more related power conversion products. The company has 60 employees, which includes 25 R&D engineers. We are a technology focused and sales driven company, and to stay leading, we rely on a strong R&D team. Most products contain software, and lately more and more of our unique features are in software. Most of the programming done at Victron Energy is in embedded C and related to real-time, control-loops, communication protocols and or user interfaces. The company structure is flat: management is done by Reinout and Matthijs Vader, and everybody reports directly to one of both.